Kalki Koechlin speaks about the need for evolving hybrid languagesAi? ?while discussing the yearai??i? ?s best performances, matters of sexuality, and Shakespeare. Naa Tamizh ponnu tha, a confused white girl from Pondicherry,ai??? says Kalki Koechlin reassuringly over the phone, with a stifled giggle. And the lady doth know her reason. The year 2016 saw her busier than ever before, both onstage and onscreen. Earlier this November, she walked the red carpet at the 47th International Film Festival of India, in Goa, for a screening of Nicholas Kharkongorai??i? ?s Mantra. She was on the red carpet again at the 16th Marrakech Film Festival, in Morocco, for a screening of the 2011 film Zindagi Na Milegi Dobara. We spotted her in an in-flight magazine too, in an ad for Japanese tourism. The actress is not about to relent with her pace. She recently completed shooting for Rakhi Shandilyaai??i? ?s Ribbon, and also teamed up with Pakistani filmmaker Sabiha Sumar for the documentary, Azmaish ai??i?? Trials of Life, while making time for the British Councilai??i? ?s ai?? ?Living Shakespeareai??i?? initiative as well. Kalki has a handful of releases slated for 2017, including Candyflip, an Indian English/Hindi ai?? ?psychedelic thrillerai??? and the directorial debut of Shanawaz NK; Howard Rosemeyerai??i? ?s Jia Aur Jia, alongside Richa Chadda; and Konkona Sen Sharmaai??i? ?s A Death in the Gunj. Yet, for Kalki, the yearai??i? ?s highlights were doubtlessly in theatre. For the ai?? ?Living Shakespeareai??i?? initiative, Kalki contributed an essay, alongside the likes of Nobel Laureate Wole Soyinka and Algerian writer Ahlam Mosteghanemi. In her paper, A Document In Madness: Do Indian Women Mirror Ophelia?, Kalki analyses the role of women in India by drawing parallels with the noblewoman Ophelia in Shakespeareai??i? ?s Hamlet, offering a new perspective on gender imbalance. Kalki writes, ai?? ?Women are often accused of madness and even locked up if they try to defy the patriarchal structure of their society.ai??? She refers to the character of Polonius, raising the question, ai?? ?What is madness?ai??? and quotes Shakespeare, ai???ai??i? ?for to define true madness, / What isai??i? ?t but to be nothing else but mad?ai??? (Hamlet, Act 2, Scene 2.) Kalki also worked on a series of interactive videos, for a segment titled ai?? ?Mix The Playai??i? ?, which lets users recreate parts of Shakespeareai??i? ?s plays. Viewers can choose between Romeo and Juliet and A Midsummer Nightai??i? ?s Dream, to create their own version, selecting cast members, music, locations, settings and costumes. Kalki and Kriti Pant are the two choices for the role of Juliet, paired with Adil Hussain or Tushar Pandey for Romeo.Kalki also starred in Rajat Kapoorai??i? ?s What Is Done Is Done!, an adaptation of Macbeth. ai?? ?Previously, we did Hamlet the Clown, presenting it in an Indian context,ai??? reflects Kalki. ai?? ?We did the same with Macbeth, though, the story is far darker,ai??? she explains. ai?? ?Also, the three women in the play ai??i?? herself, Tillotama Shome and Sheena Khalid ai??i?? play the roles of the three witches and three Lady Macbeths (thatai??i? ?s right, this version has three Lady Macbeths). So, that was quite interesting.ai??? She went on to work on Far Away by director Rehan Engineer. ai?? ?This was at the point of the US elections, and the surgical strikes in India,ai??? relates Kalki. ai?? ?The play is about end times and war. It was strangely politically relevant, and gave us goosebumps.ai??? Among her favouri te productions this year, Kalki picks Tape: The King of Drag (aka The Gentlemanai??i? ?s Club), written by Vikram Phukan andproduced by the Gaysi Family, starring Puja Sarup, Sheena Khalid, Rachel Dai??i? ?Souza and Ratnabali Bhattacharjee. The play was billed as the countryai??i? ?s first to feature drag kings, or women in menai??i? ?s roles. ai???Itai??i? ?s humourously done, and had a really good response.” Kalki also names Ila, directed by Puja and Sheena, as a noteworthy effort. The play recounts the myth of a king who gets turned into a woman, played out in exchanges between seven passengers on a Mumbai metro train, thereby addressing matters of masculinity and femininity in urban society. Among individuals, Kalki lavishes praise on Jyoti Dogra for her solo experimental piece, Notes on Chai, which plays on banal everyday conversations. ai???Itai??i? ?s about the make-believe politeness we show in society, like, ai?? ?Aiyye, chai peejiye,ai??i?? you know, that kind of thing,ai??? offers Kalki, in a mocking tone. ai?? ?Inside of us, we have all these monsters, but we donai??i? ?t let them out,ai??? she adds. Kalki also mentions Jyotiai??i? ?s Toye, a devised piece, based on Girish Karnadai??i? ?s Agni Aur Barkha (Agni Mattu Male in Kannada). The study of Shakespeare is essential for discourses on sexual and language politics, for audiences to gain a sense of emotional maturity, agrees Kalki. The role of language in shaping progressive cultural interactions can never be underestimated, she asserts. ai?? ?Language is one of the biggest problems of our country,ai??? says Kalki. ai?? ?It’s one of our biggest divisive problems, because we all speak different languages. English has become a form of elitism, and a privilege,ai??? she explains. ai?? ?But this is wrong,ai??? adds Kalki. ai?? ?A lot of educated people hold forth in their mother tongue ai??i?? whether itai??i? ?s Tamil, Hindi or another regional l anguage.ai??? There is a need to embrace English, but not at the cost of neglecting regional languages, reasons Kalki. ai?? ?We live in a global world, where English is the language of communication. Itai??i? ?s important that English is available to everyone, starting at school,ai??? says Kalki. ai?? ?At the same time, we have a rich history of stories to tell, and why shouldnai??i? ?t we be multilingual?ai??? she adds. The problem may be more deep-seated than we imagine, offers Kalki. ai?? ?Language divides are basically due to separation of classes,ai??? she says. ai?? ?We come from a history of casteism, and that is being transferred into a sense of classism. Eventually, art and theatre breaks those boundaries.ai??? On stage, ai???Itai??i? ?s not just about spoken language, itai??i? ?s visual, sound, the expressiveness of body language, and so many other aspects, including music, which is integral,ai??? adds Kalki. ai???Itai??i? ?s extremely important that we have dance, music and theatre to communicate cultural practices that cannot be explained through (spoken) language,ai??? notes Kalki. ai?? ?There are some cultural activities we all recognise, which are not stated,ai??? she explains. ai?? ?For example, how we eat with our hands. This can only be seen, so you make an impression, and know itai??i? ?s suggestive of India. This is important to consider.ai??? 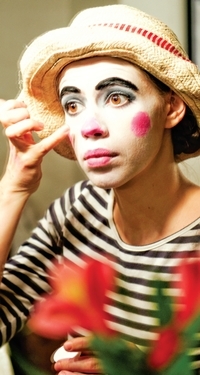 One platform where language barriers are being broken is stand-up comedy, enthuses Kalki. ai?? ?I feel that Hindi stand-up is very strong,ai??? she says. ai?? ?Comics like Varun Grover are conscious of gender equality, and have some great acts. Stand-up is a way of the underground seeping into the mainstream,ai??? she adds. The divide between theatre and cinema, yet, remains vast. ai???Itai??i? ?s a very different audience that attends theatre, from the one that attends blockbuster Bollywood films,ai??? notes Kalki. ai?? ?You still have regressive stories, with lyrics that are insulting to women. But people in the mainstream are also experimenting now. That is encouraging,ai??? she adds. ai?? ?The more you celebrate art, and the more funding there is for the arts and theatre, the more we will get to see diverse offerings,ai??? offers Kalki. ai?? ?If weai??i? ?re unable to watch performances from different parts of the country, then it becomes difficult to understand our cultural differences.ai?? ?